Near the end of 2009, the Machinists News Network (MNN) ran a story about the IAM members who worked as part of NASA’s shuttle program. These were the men and women who made sure, time and time again, that manned space flight took our breaths away. Unfortunately, following the government’s decision to outsource the iconic U.S. space program, the shuttle program at NASA is no longer a reality. Private spacecraft maker, SpaceX, announced it will be running a cargo test run to the International Space Station as early as November. 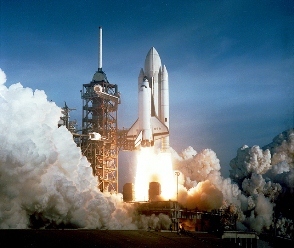 As thousands of people coast to coast wonder what their next step is going to be, the Machinists Union is taking a minute to say “thank you” to all the members of the labor movement who worked as part of NASA’s shuttle program over the years. The MNN has reposted the original video “IAM’s Journey to Space,” featuring these great American heroes. Their dedication and service to this great American industry will not be forgotten.